ICB Group has a specialist Trade Credit Insurance division and our experts are in regular contact with risk and economic analysts who specialise in underwriting credit risk and risk mitigation. Our trade credit specialist division are fully aware of the perils that exist now and that potentially lay ahead, post-Brexit. To be cautious is quite prudent, but to have guidance and cover during volatile times allows for the 'sleep good factor', whilst your trade receivables, a most valuable asset to a company, are protected. The Supply Chain — A key aspect to consider for any Brexit outcome. Reviewing the Supply Chain your business is involved in could be critical, as the domino effect has notoriously taken down some of the largest names, like the widespread affect failures like Carillion had across the entire UK only last year in 2018. Supply Chains may well include elements of importing and exporting. Cross-border tariffs may well be affected, importing and movement of raw materials as well as product category tariffs could apply in a variety of scenarios that could cause businesses to suddenly stop trading due to profit levels, be interrupted due to complexities around licensing or the worst case scenario - even failure. (The diagram below broadly reflects the Supply Chain in the trading cycle). Contracts — Brexit could require business contracts to be renegotiated or even terminated — especially any EU trade agreements. Reviewing contracts to establish if international terms and conditions in the event that a no-deal causes an impact on an EU importer or exporter will be essential. Even the simplest of contracts can be affected so for additional government information please click here. Many businesses will deploy a variety of strategies to deal with these volatile times and securing proper cover for your business is a vital Brexit preparation step that can help protect you from an uncertain marketplace. 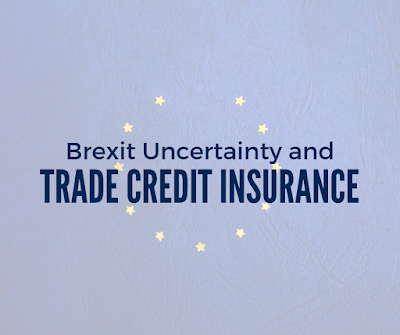 As the trading environment continues to change and fluctuate, your company needs trade credit insurance now more than ever. Essentially, trade credit insurance can help ensure your organisation maintains a steady cash flow and receives payments, even if buyers or partners are unable to pay for their goods due to insolvency or bankruptcy in a changing marketplace. 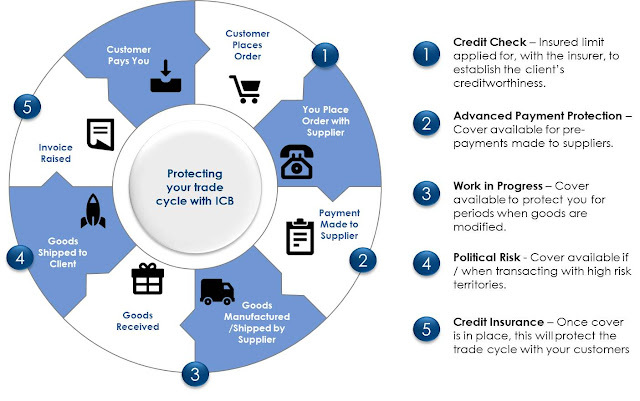 Trade credit insurance typically covers commercial risks, such as when an organisation’s customers cannot pay invoices due to financial reasons, and political risks, which result from customers failing to pay invoices due to factors out of their control (e.g. a political event, natural disaster or currency problem). 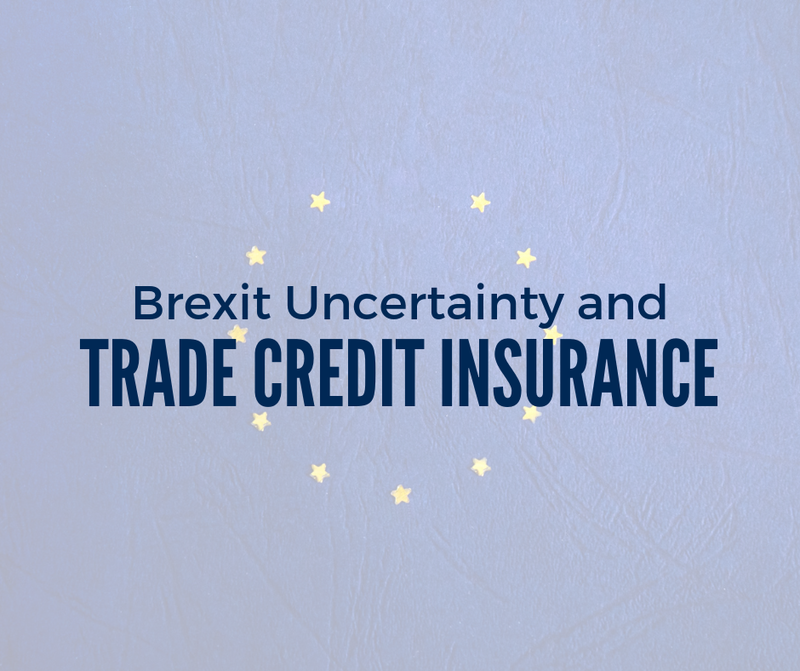 Regardless of the impact of Brexit, having Trade Credit Cover in place can help keep your company protected in an unpredictable business environment. Should you have any enquiries please contact the ICB Group Trade Credit Team today for more information.